A cyclist on the Trestle #3 Bypass. Photo by Molly Andrian. 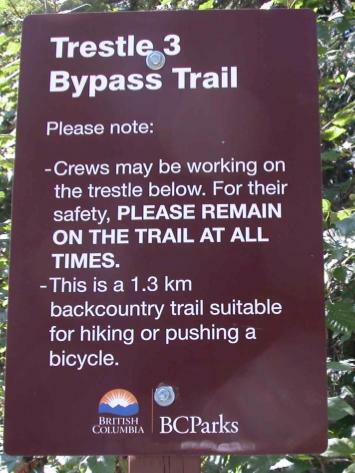 The Trestle #3 bypass trail is now open. 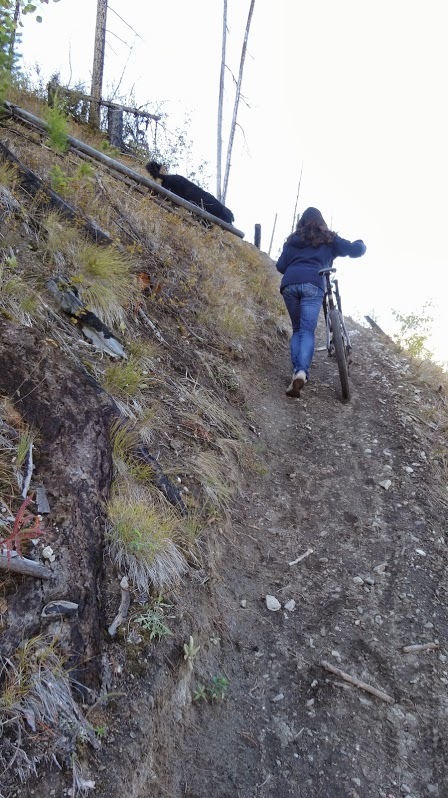 The trail is 1.3 kms long and is suitable ONLY for hiking and pushing bicycles. Level of difficulty is moderate to difficult. Starting next week, workers will be on the trestle below. 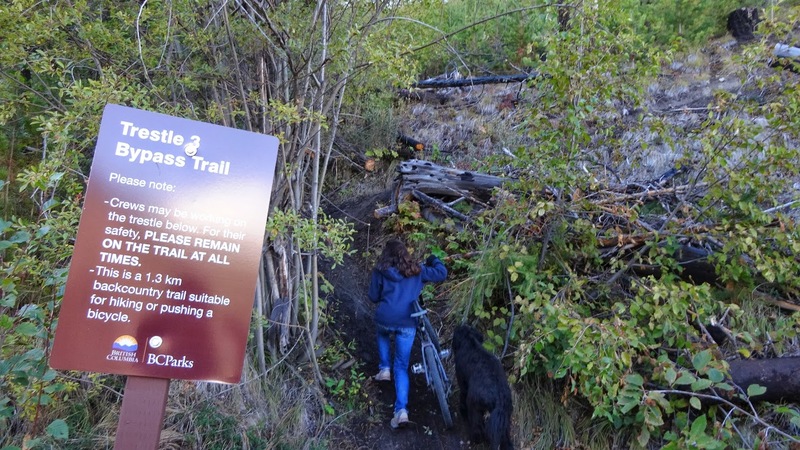 For workers’ safety below, users should stay on the trail and be careful not to dislodge anything as they pass on the trail above. Signage is in preparation and should be in place by Saturday.